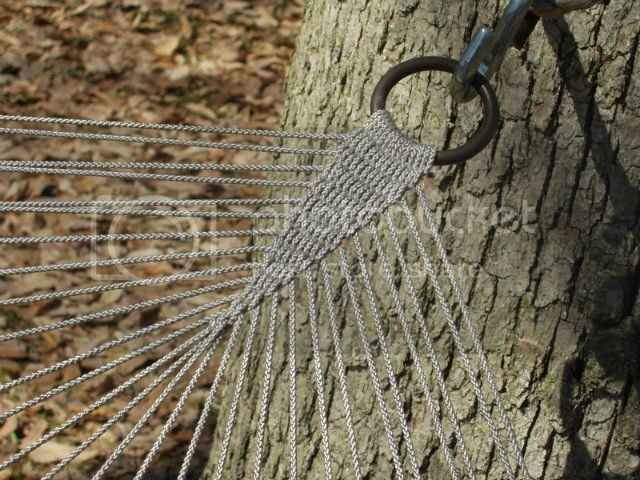 It looks like this is the point where hammocks become art! Great site - thanks posting! What's the advantage of the clew over single loops or dog bones? Either way the angle of the individual loops will be similar or the same so the hammock lay is the same. 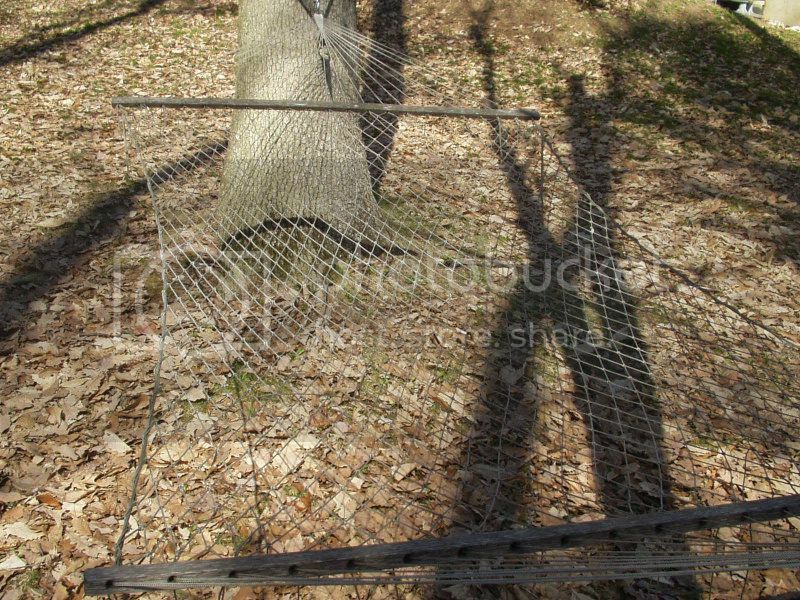 The clew brings all the lines of the netting in one attachment point. If you use a net design it keeps the lines from wraping around each other. It allows for better distribution of the force stress along the various lines (if it is done right) and it is just plain beautiful to behold. But it is an art form in and of itself. Think macrame on steriods. I may be slow... But I sure am gimpy. "Bless you child, when you set out to thread a needle don't hold the thread still and fetch the needle up to it; hold the needle still and poke the thread at it; that's the way a woman most always does, but a man always does t'other way." Can't argue the art aspect, but better distribution of forces is questionable. I see no advantage to the clew's distribution than my example below. And if one strand/loop is damaged with the clew, the clew must be replaced. If you took all the loops/dog bones to a biner then the damaged loop/dog bone may be replaced individually. Did I mention no tangles? The clew I made has 14 strands making 28 leads to my netted garden hammock. These leads go to 24 meshes in the body of the hammock and 2 leads at each end go to the side braids. It is difficult to see but each lead is several inches too long. If any lead is damaged it is a simple matter to undo the lead where it meets the hammock and adjust so that you have enough to tie ends together. If it is necessary with a hemostat it is easy to grab the ends to tie in a new lead - a simple over under weave.